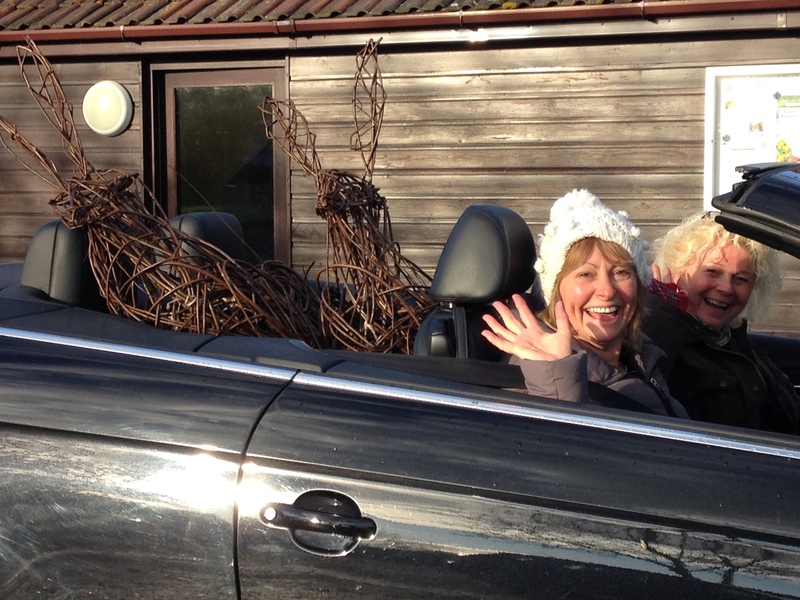 Wow - 42 places on my Autumn Willow Sculpture Days booked in a week! If you wish to book places for my September – December Willow Sculpture Days for yourself, or as gifts for friends or family, then please do contact me asap! Since releasing my next set of course dates on the 19th June I’ve received 42 bookings in a week. The majority of these being from previous participants who will be choosing them as Birthday/Christmas gifts for themselves from their family or are gifting them to their loved ones. I’ve also now created a Someset Levels accommodation list that I send out with your booking confirmation. This is because around half my participants per Sculpture Day now travel from at least 2 hours away! You could even make a weekend of it and see more of the sights in this fantastic area of the country. Included in all my Sculpture Days is a background tour of Coates English Willow. You will meet the commercial basket makers, discover their latest creations and find out why I celebrate Coates so much… it’s a unique and fantastic family business that is very nearly 200 years old! ← September – December 2017 Willow Sculpture Days Dates Released!